SLEEPY OWL Dream Pillow Giveaway! Here's your chance to win one of my limited edition SLEEPY OWL Dream Pillows! Imagine yourself drifting away, falling into deep sleep....running wild & beautiful in your dreams...and remembering your dream with a smile in the morning! These hooty owls are hand crochet by me :). 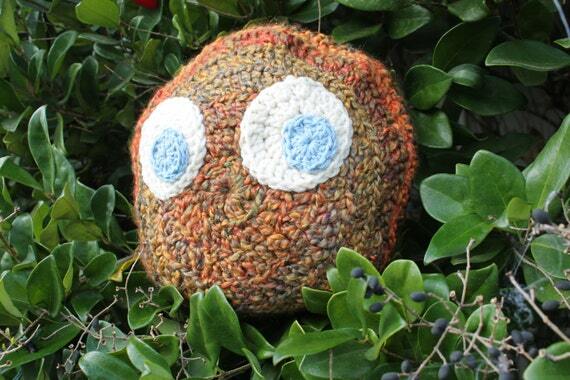 The yarn is a snuggly soft acrylic yarn, and the eyes have been sewn on. Each owl has a separate dream pillow inside (fill weight approx. 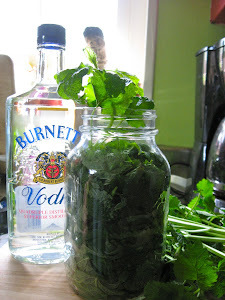 3 oz, all herbs), that can be removed when the herbs need to be renewed. *Chamomile: Calming, relaxing, and said to keep bad dreams away. Cloves: Brings warmth and an exotic feeling to dreams. *Mugwort: Greatly enhances lucid dreaming and helps with remembering of dreams. *Rosemary: Traditionally used to bring deep sleep and keep away bad dreams. Chickweed ~ Eat your weeds & ZAP those fat cells! 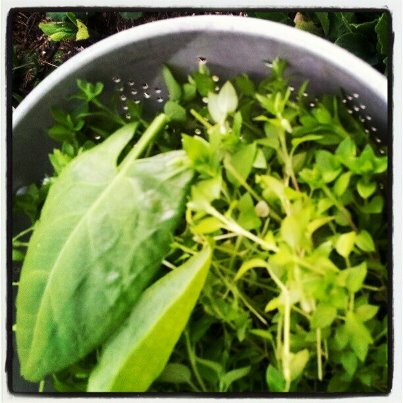 As the name implies, Chickweed is often considered a "weed" :). It aids against inflammation , bacterial infections, eliminate waste, and even zap fat cells. FAT CELLS! Yes, ma' am! 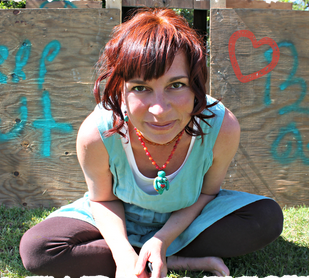 :) I love Susun Weeds "Chickweed is a Star"...she explains chickweed so well, no need for me to it again. Best thing is, you can get it free. 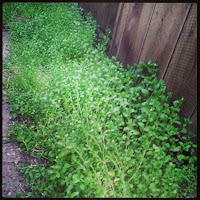 Chickweed grows abundantly in the beginning of spring. .Just look down for the beautiful green mounds of green graceful leaves and gorgeous little white star flowers. They are remind me of fairy glens :). Here in my parts, well, it grows in my backyard! I am blessed. Somehow, it found its' spot, and grows there every year. In the drain out area, right where the non-existant pipe is. Chickweed loves warm, damp (not wet) places. The PH level has to be right, so it is quite miraculous that it just GROWS. There is lots of chickweed by the river right now too. I always climb up a bit, you don't want to pick the chickweed the dogs have marked :). 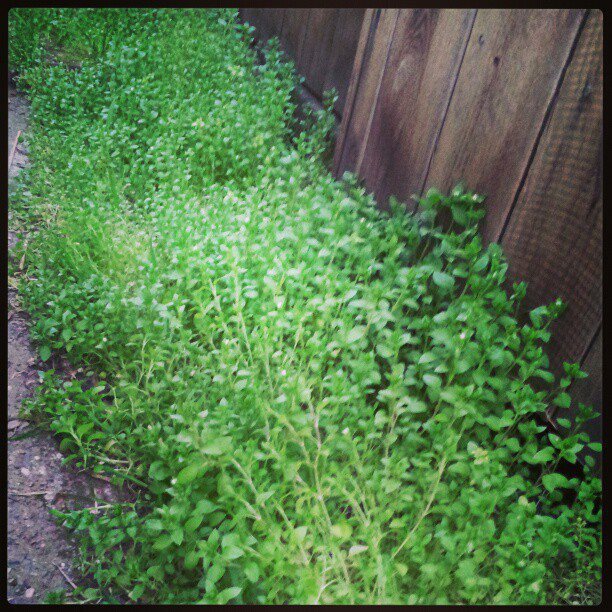 You can Google "chickweed" for images to make sure you pick the right thing. Watch for the flowers. 1. 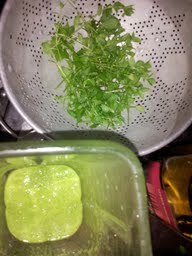 Chickweed infusion - Stuff a mason glass with chickweed, cover with boiling water, and drink the next day. 2. Vinegar - again, stuff a glass, cover with apple cider vinegar, and let sit at least 6 weeks. Strain & enjoy! 3. Tincture - STUFF a GLASS!! Cover with vodka, wait 6 weeks. Strain. 4. EAT IT! yes, just eat it. You can chop it into salads, use it with sandwiches...your imagination can go wild. Here is the thing, Chickweed has a slight "green" taste. Not everyone's thing. I just made this delicious salad dressing with it, and poured it over Mache' salad with avocados. YUM! Mix it all up in the mixer, until all the greens are pureed.